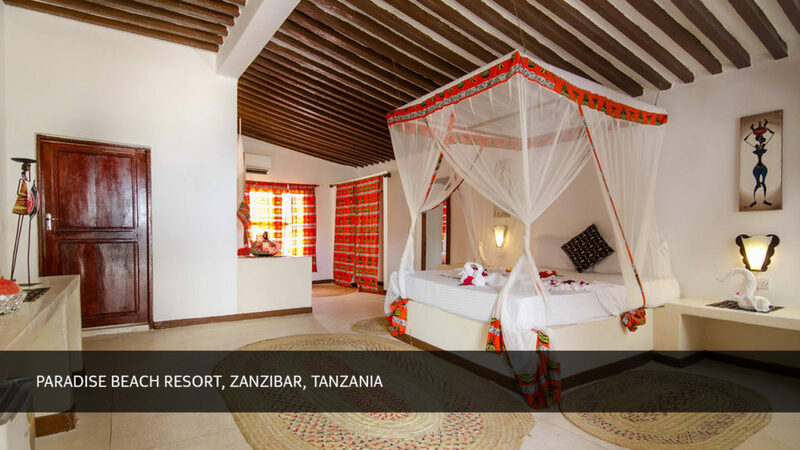 Perfect Package to Paradise Beach Resort in Zanzibar. 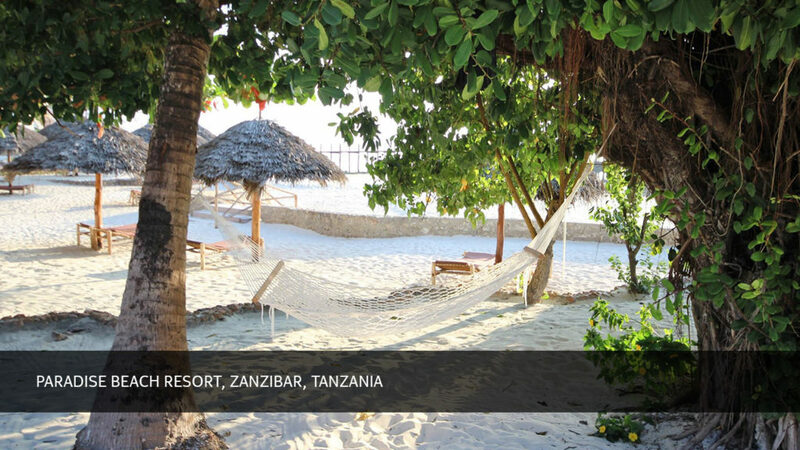 Zanzibar’s pure fresh air, clean stunning beaches, unique cultures, and delicious cuisine is music to the soul. The untouched beaches are turquoise-blue, each beach offers luxurious facilities, picturesque views and amazing food! The weather is always perfect for beach picnics and water sports. 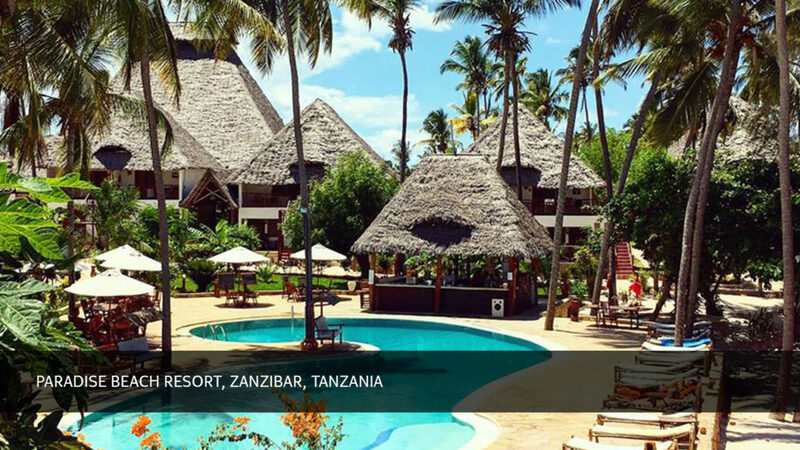 Paradise Beach Resort, located in Marumbi, on the East coast of Zanzibar is a spacious holiday complex on the sea front and is in perfect harmony with nature. Paradise Beach Resort has a happy family atmosphere with lots to do around the spacious pool areas. 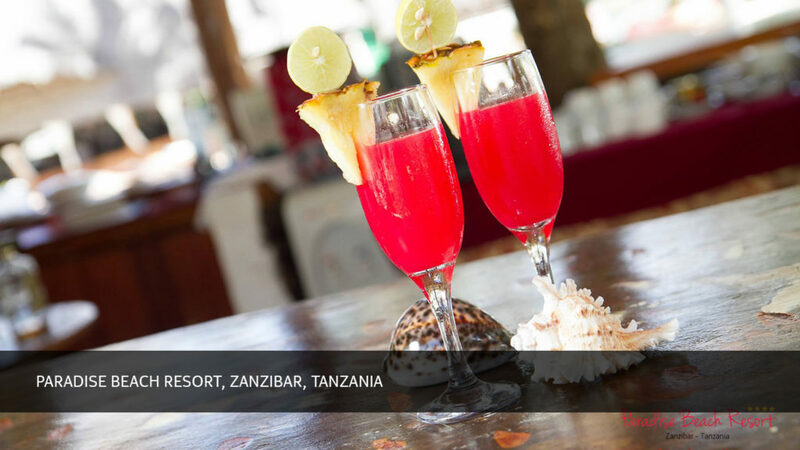 Recently renovated, Paradise Beach Resort offers authentic relaxing African style comfort. The resort is a certified diving centre so you can try your skills and diving and snorkelling. After a busy day of riding bikes and kayaks on the beach you can relax and enjoy the wellness facilities at Paradise Beach Resort. The resort has perfect accommodation, two swimming pools and a children’s pool, a white sand low-high tide beach, gymnasium, spa and massage area and a conference hall. There are also various bars and restaurants. Paradise Beach Resort has everything needed to make your visit an unforgettable one. The stylish Suite accommodation on the first floor includes a divided bedroom/living room with a fully equipped bathroom. All Suite bedrooms have a king size bed, a sofa and a single bed. The air-conditioned rooms provide a full view of the pool and sea. The Suite has a safe box, mini bar, hair dryer, laundry and room service and Wi-Fi. Paradise Beach Resort Beaches and Safaris. Swimming at Paradise Beach Resort’s ‘private beach’ is delightful at high and half tide and you have alternative access to the sea from the jetty, that has steps into the ocean. The sand is soft, white and very relaxing to walk on. Due to its unique characteristics, the ‘second beach’ is less influenced by the tide. The coral reef is closer to the shore, and the ocean is slightly deeper, making it easier to walk on at low tide. The resort has a beach bar, bathroom and sunbeds at the second beach and a free shuttle service is available. Paradise Beach Resort gives you an unforgettable beach and safari experience, a wide variety of outdoor life and exciting sporting activities. Paradise Beach Resort Perfect Package. 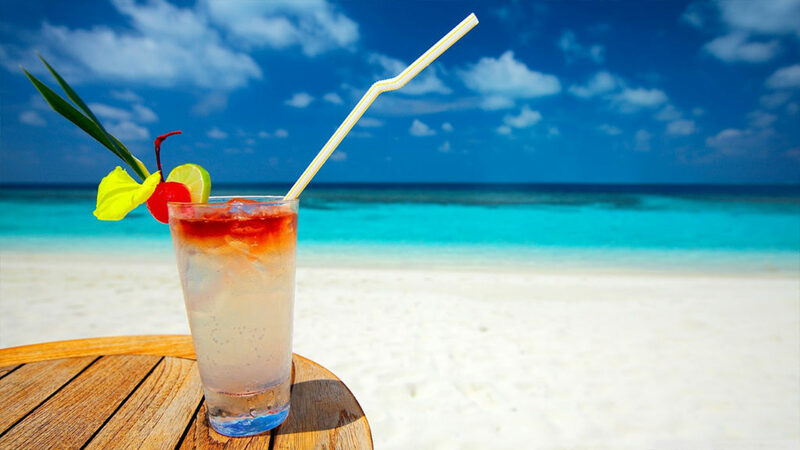 Our perfect paradise package includes return airport transfers, accommodation in a Suite room, three meals per day and soft drinks will be served during stipulated times throughout the day. During the day snacks are served in the pool and jetty bar. This little piece of paradise is a malaria area; we suggest taking precautions by using over the counter repellents or if you feel unsure and want to take preventative measures against malaria please consult your doctor or travel clinic. Previous PostPrevious We have a Zanzibar Winner! 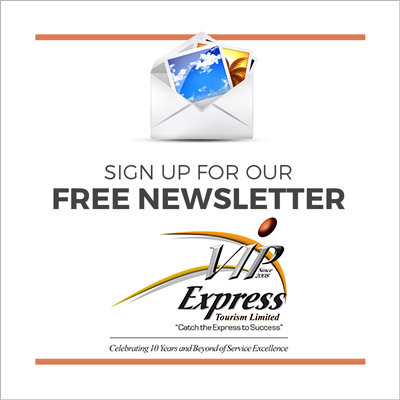 Next PostNext Tourism is beneficial.